Perfect choice for bridesmaid/wedding purposes! I'll be monogramming all of them too! 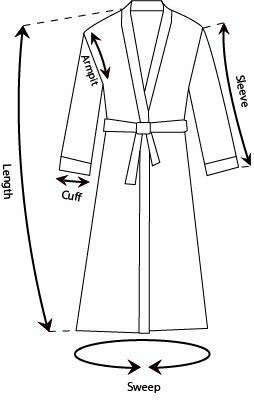 Very pleased with the new Waffle Kimono robes; much improved fabric quality from a couple years ago. Website is easy to navigate, and shipping is quick! I love the color and they arrived so quickly! Extremely satisfied!